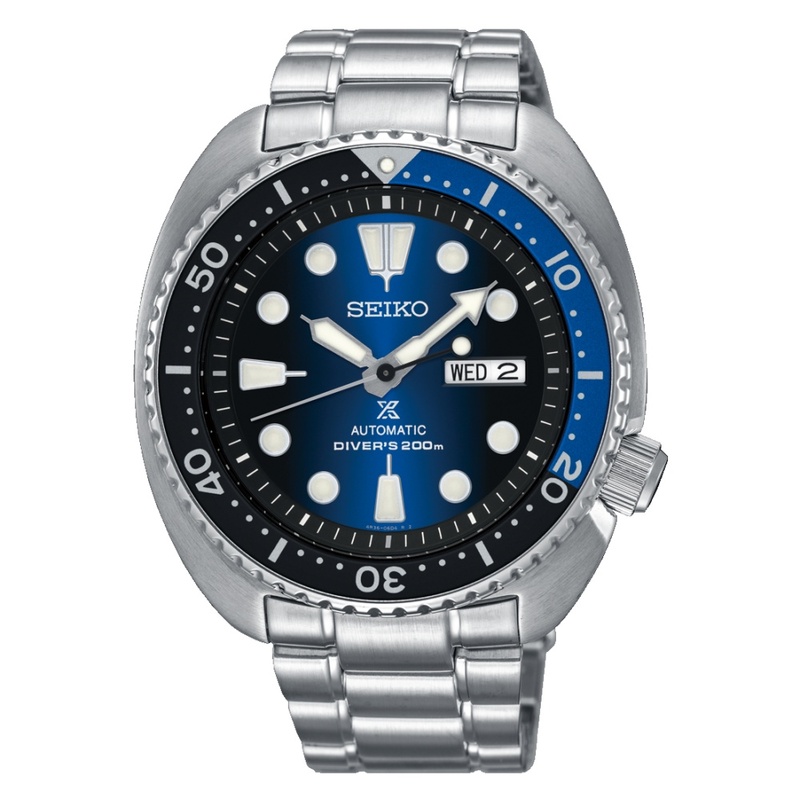 Seiko Prospex have released two new turtle colors. SRPC23K1 is with a lovely sunburst black / gunmetal dial and black bezel while SRPC25K1 has a stunning graduated blue dial with a black and blue bezel. 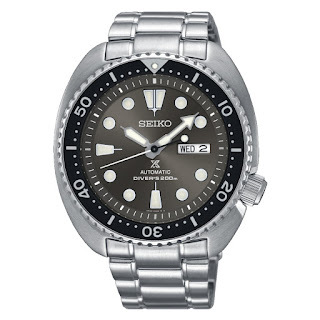 Powering the Turtles is an in-house, Seiko Japan automatic 4R35 caliber with 24 jewels, a beat-rate of 21,600 vph and a power reserve of 41 hours. 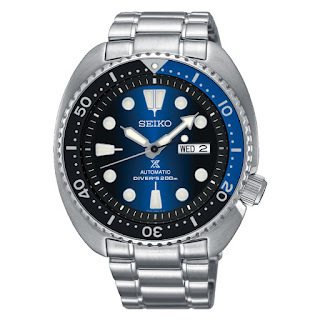 The hands and dial markers are with Seiko Lumibrite. 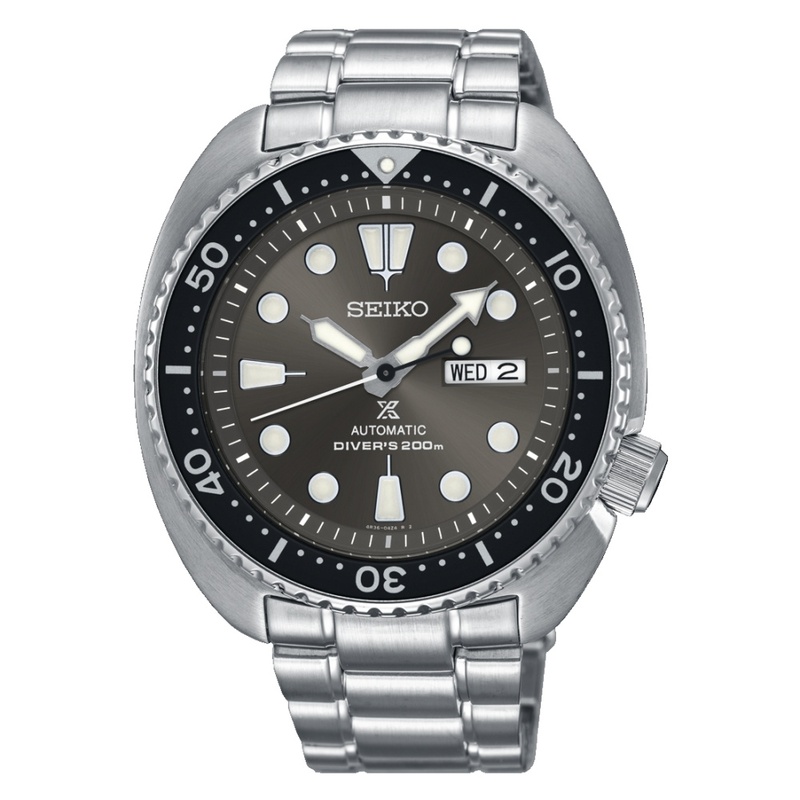 Both these new Turtles come on Steel 3-link bracelets with trip-lock clasp with secure lock, push-button release and diver’s extender.